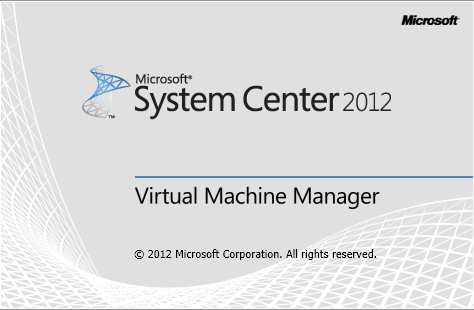 This post will show how to install System Center Virtual Machine Manager 2012. 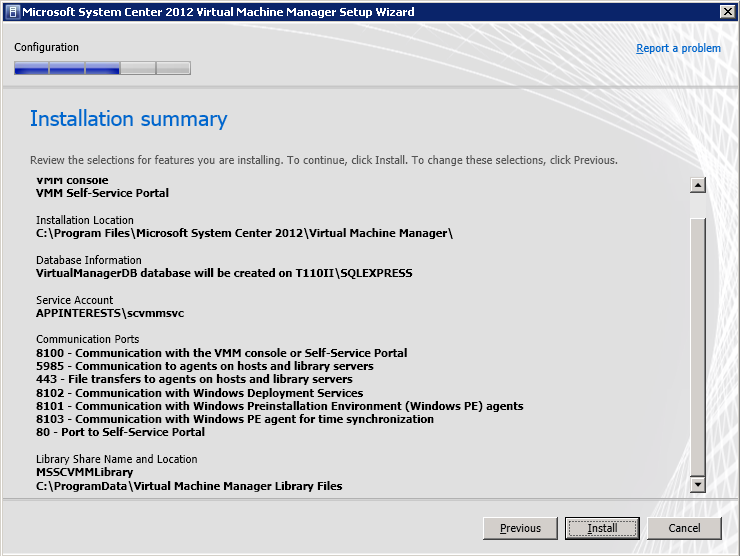 I will install SCVMM 2012 to SCVMM01 machine where an existing Hyper-V role is running with Windows Automated Installation Kit (WAIK) and SQL Server 2008 R2 Express installed as part of SCVMM system requirements. Enter your information and click Next. The next screen will ask you to participate in the Customer Experience Improvement Program (CEIP) select Yes or No then click the Next button. You may change the default install path or accept the default and click Next. Should you get any prerequisite errors, try resolving them first. 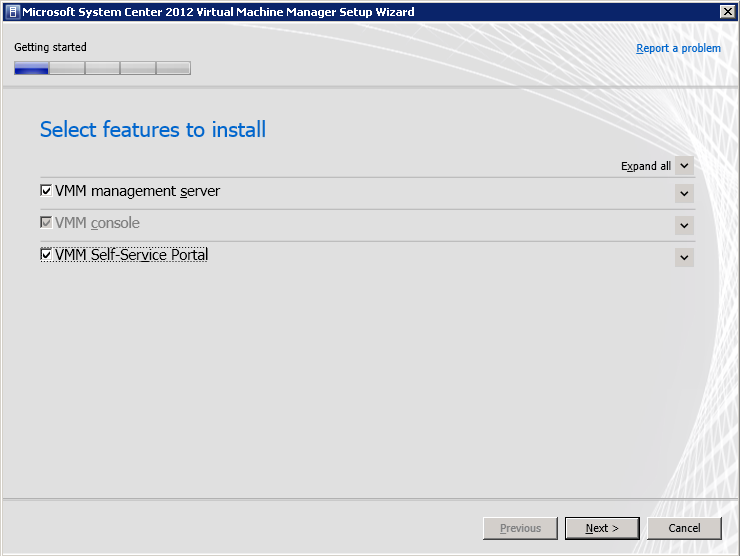 **Example: if you don’t have Windows AIK, no need to cancel the SCVMM installation, just install WAIK then get back to the SCVMM installation wizard. If you get any warning messages, read through and click Next to proceed. **Normally, if your server’s RAM is below 4GB, a warning will appear. In the Database Configuration window, key in your SQL database server and if the SQL instance locally installed, you may leave the Port and the use the following credentials boxes blank. 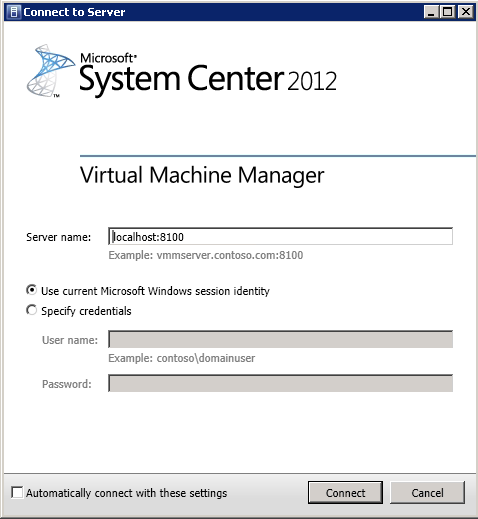 If connecting to a remote SQL server, make sure your account has the privilege to create a new database. Select the New Database radio button and enter a database name or use the default then click Next. 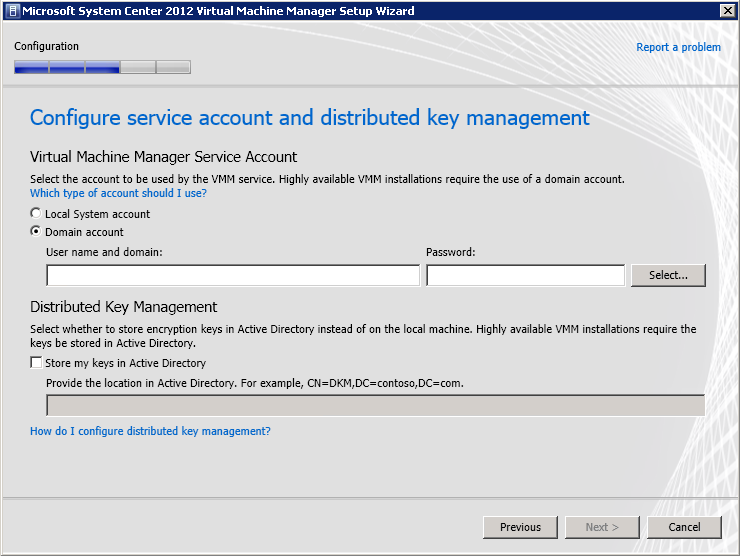 In the Account Configuration window, enter the domain account for the SCVMM service account you created earlier and under the Distributed Key Management, just leave it and click Next. 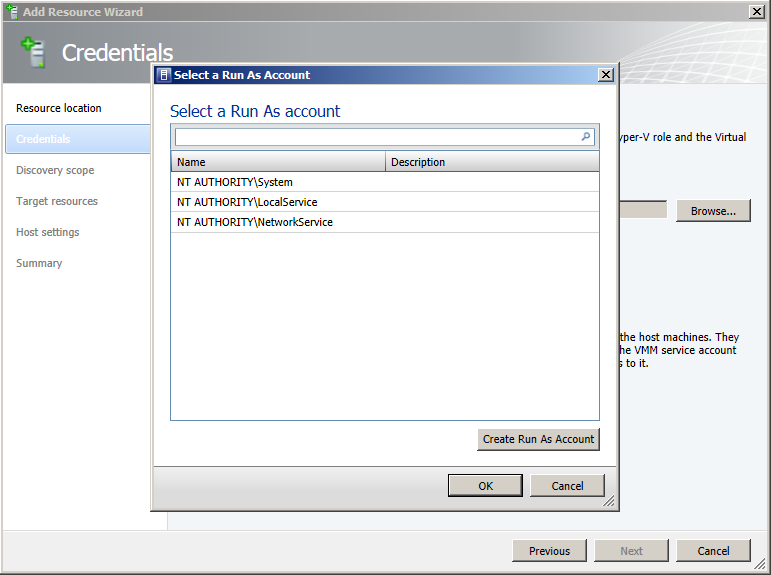 In the Port configuration window, accept defaults and click Next. 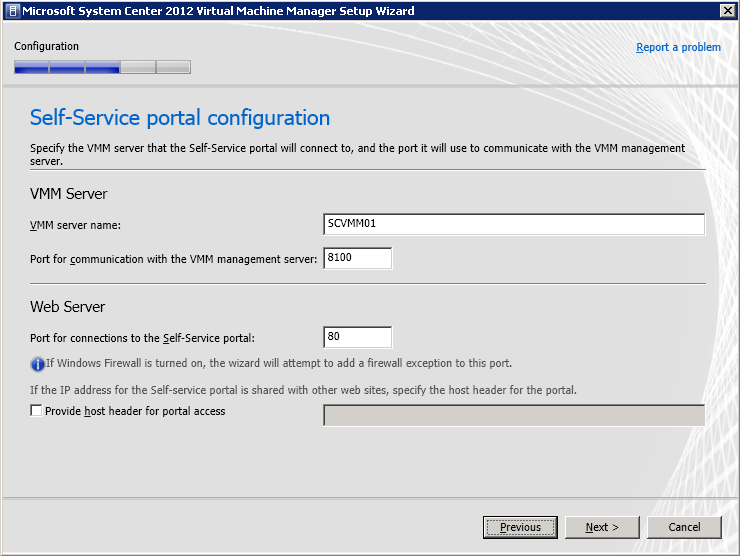 If you accept the VMM server name and ports in the Self-Service Portal configuration window, click Next. 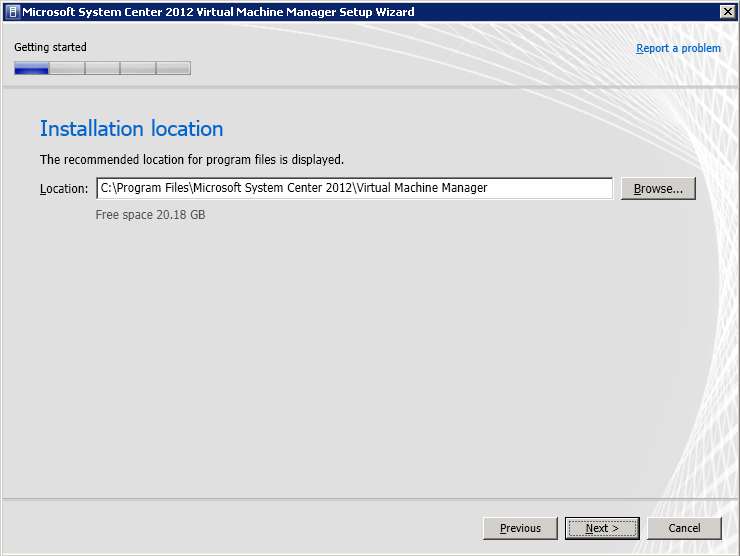 In the Library configuration window, and click Next. 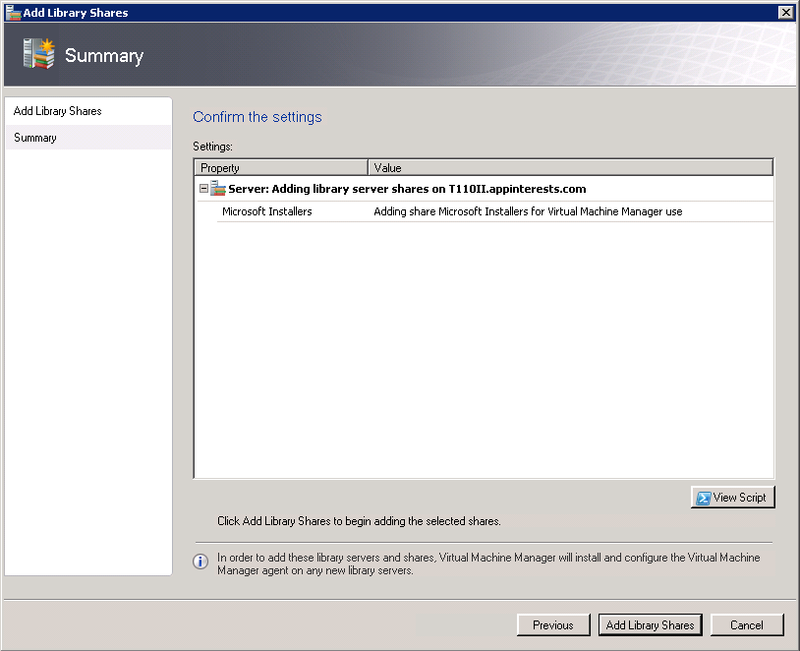 In the Installation summary click Install to proceed. It won’t take long for the roles to be installed. 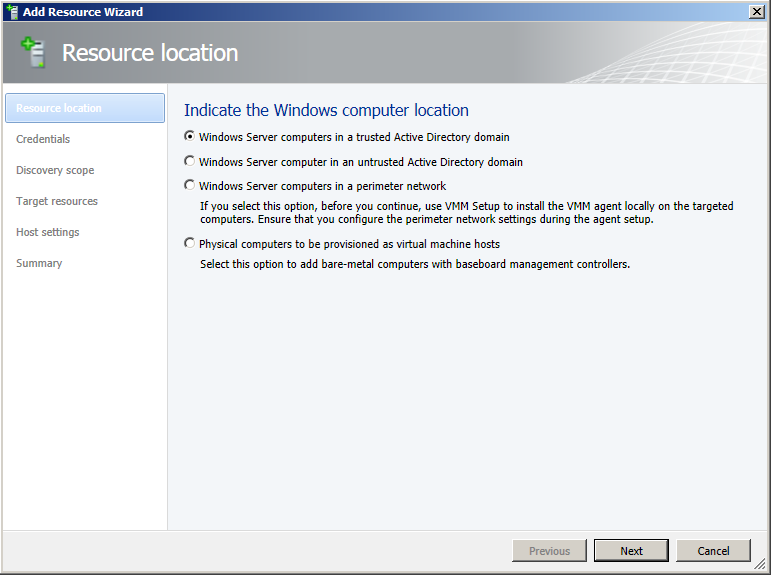 Verify that the 3 roles have been installed successfully, click the Close button to complete the installation. 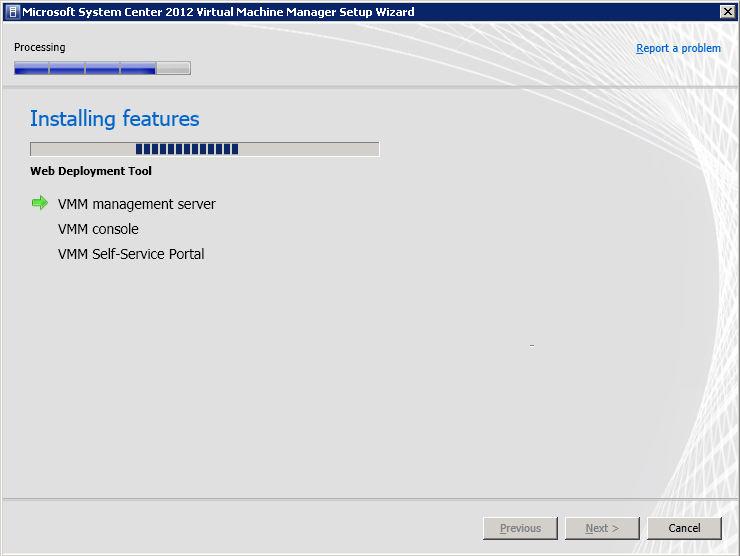 Connect to the SCVMM server. 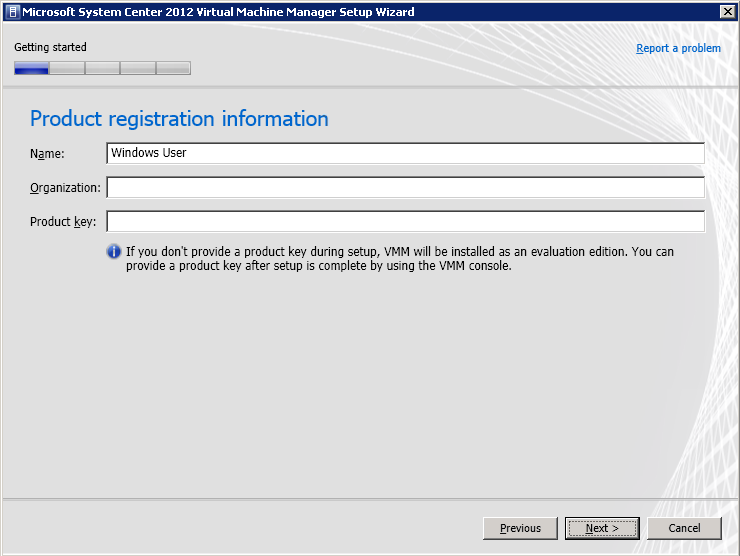 You are now ready to use SCVMM 2012. 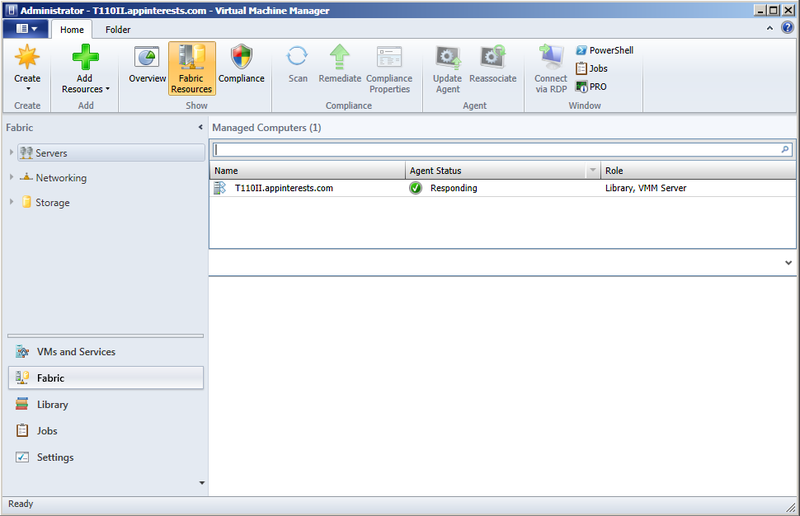 First Thing to do is add a host to manage. At the Home tab click on Fabric Resources. 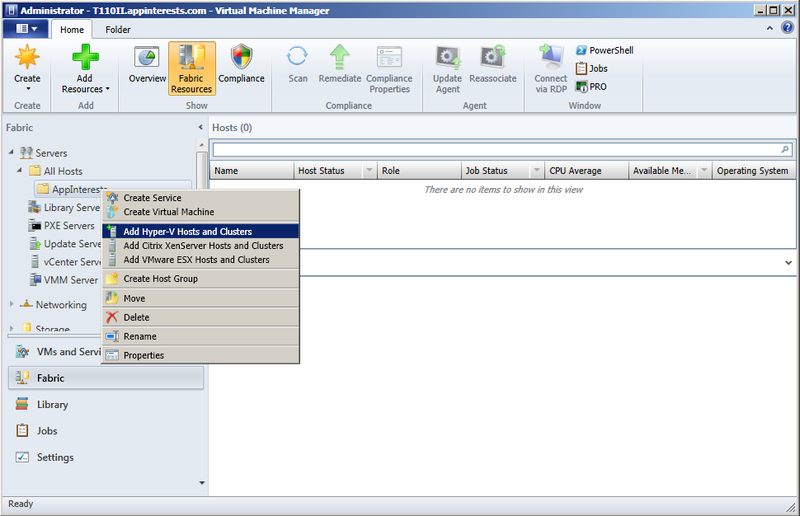 In the left pane of the console’s folder list, Right click on All Host and select Create Host Group and give your custom host group a name (in this example AppInterests is used). 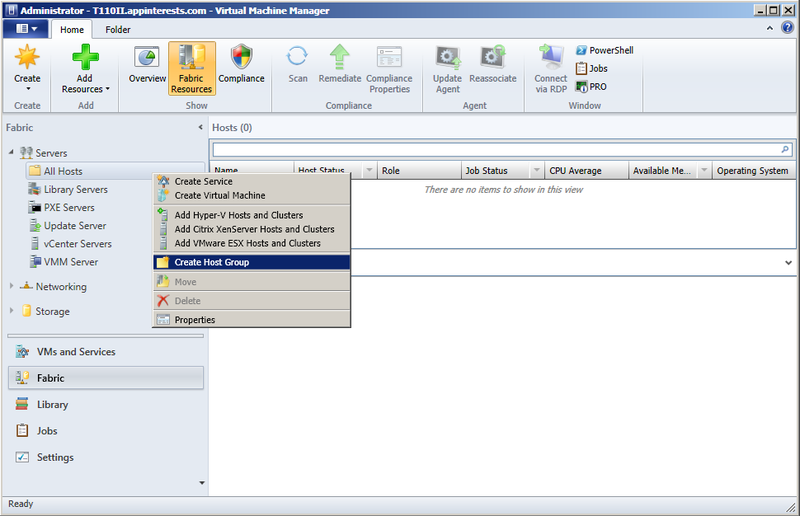 Next is to make a right click the host group and select “Add Hyper-V hosts and Clusters” then the Add Resource Wizard will appear. 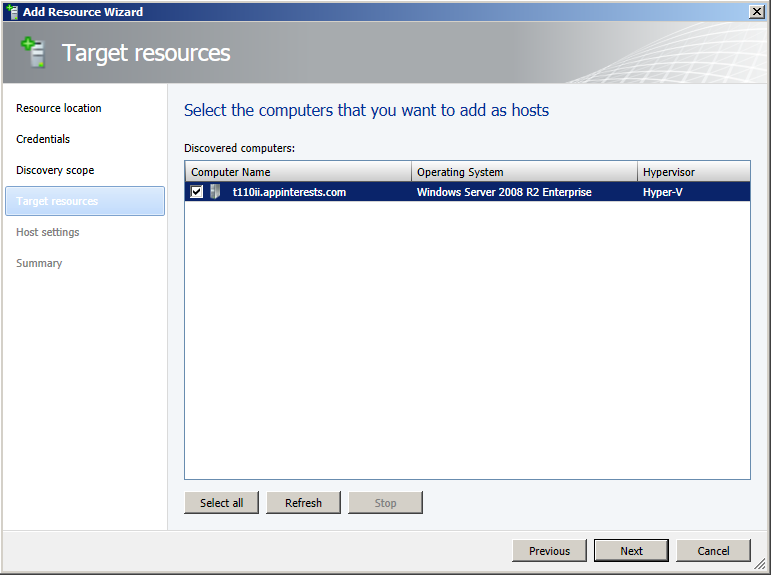 At the Resource Location screen, select Windows Server computers in a trusted AD domain and click next. 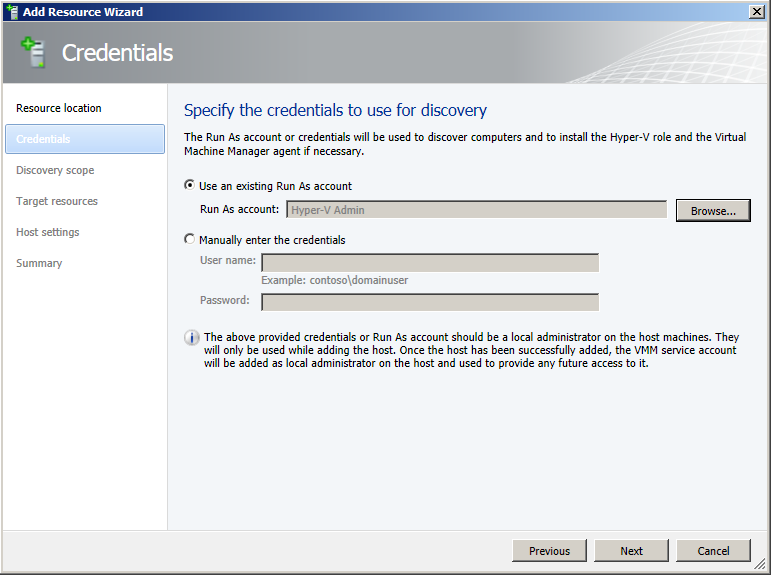 In the Credential’s screen, specify a credential to use for discovery click the Browse button. 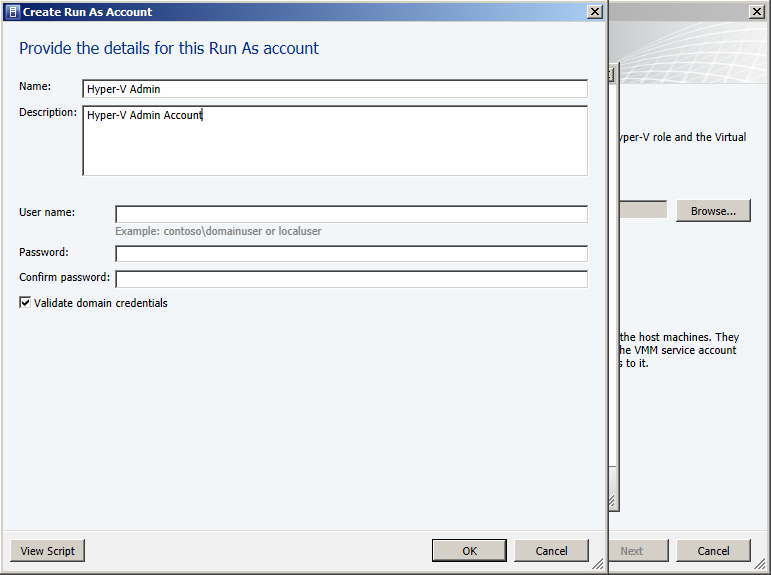 Click on the Create Run As Account button. 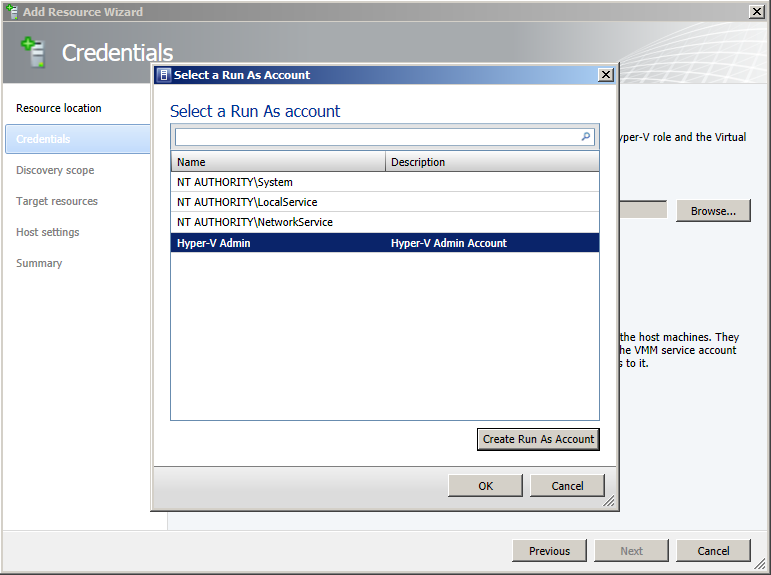 Enter a user name for your Hyper-V Administration Account and type in a password and click OK. The created account is highlighted. Click the OK button. It will return to the Credentials screen with the RunAs account is already been populated. 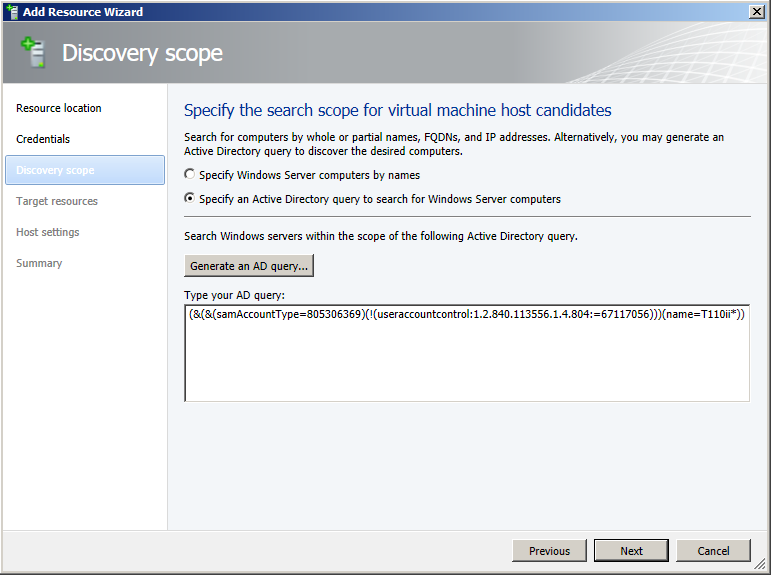 In the Discover scope screen select then Specify an Active Directory query to search for Windows Server computers. 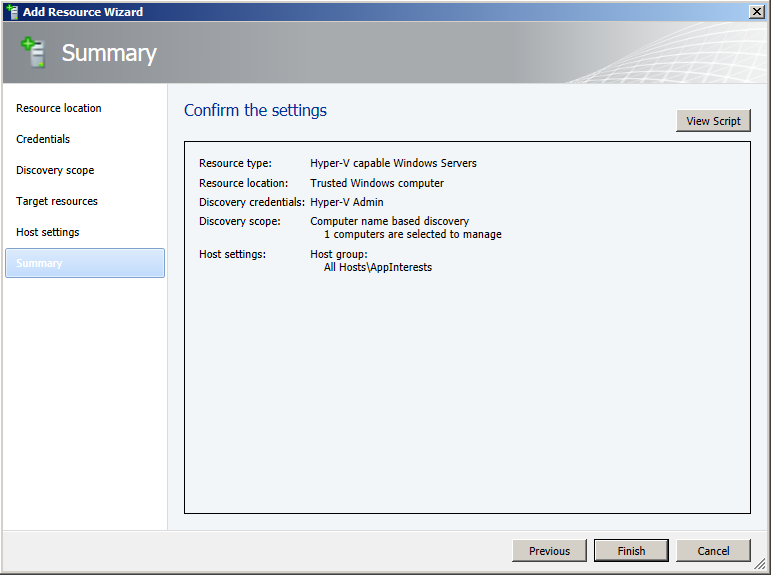 In the Target resources select all the discovered Hyper-V servers, and click Next. 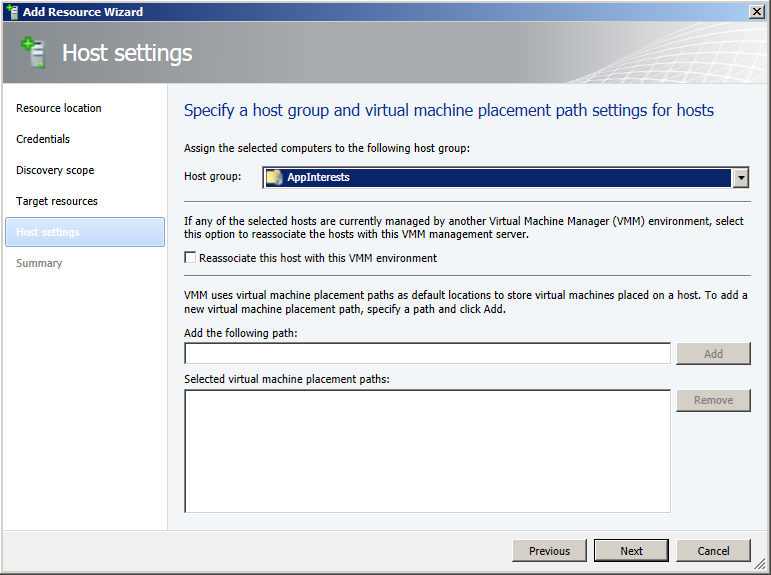 In the Host settings, assign the discovered host to the previously created host group. 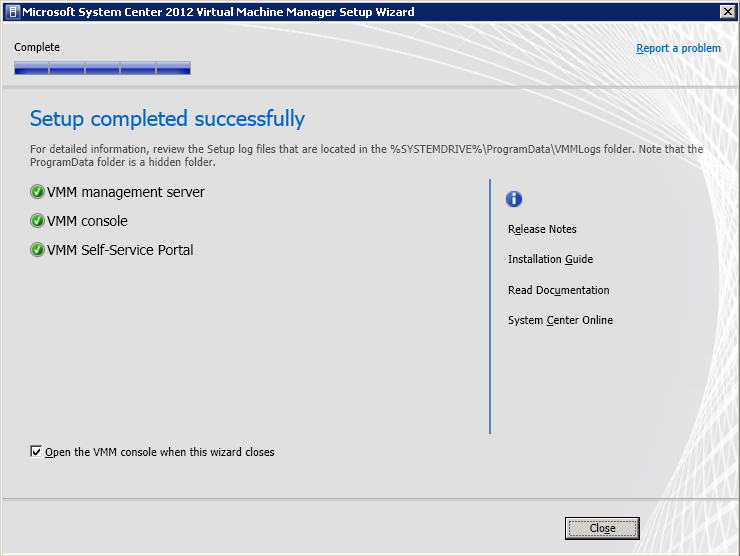 Click the Finish button then a job will be created to deploy the SCVMM agent to the Hyper-V host. Once the job is done confirm the Agent Status is Responding. 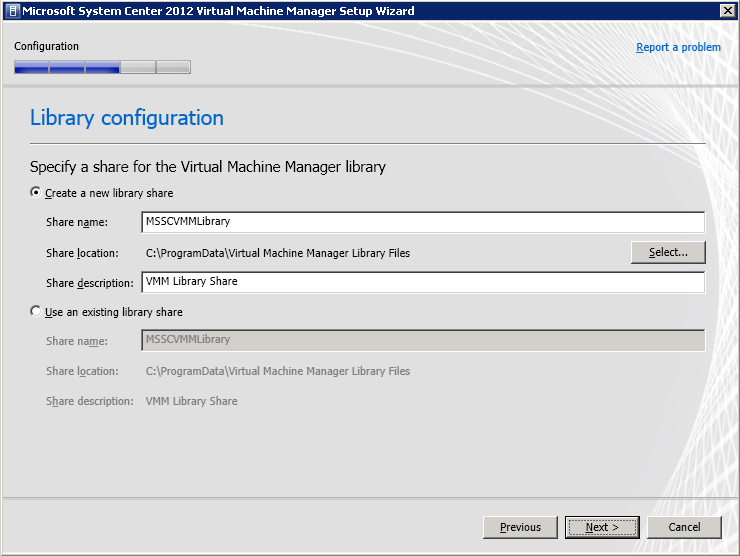 To create a new VM we need to add the Operating System installer’s ISO file in the library, below will show how to Add Library Share in SCVMM 2012. Under the Library Servers in the left pane list, right click the Server host that has a shared folder containing the ISO files and select Add Library Share. 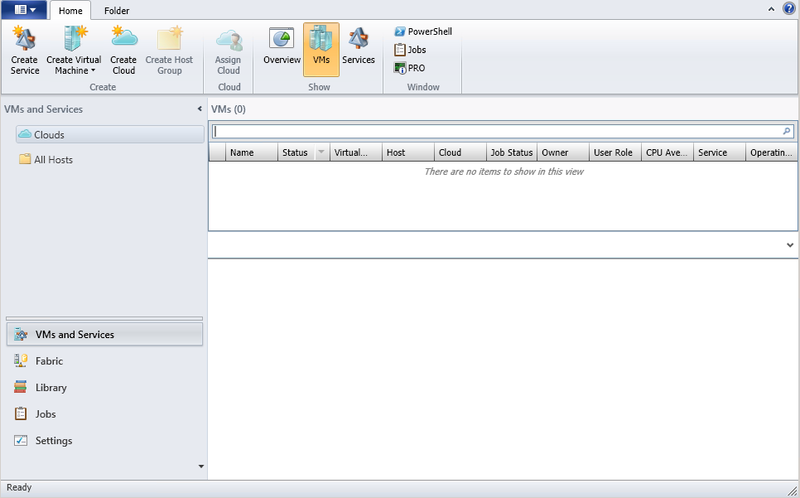 You may want to take a look at the powershell script by clicking the View Script button. 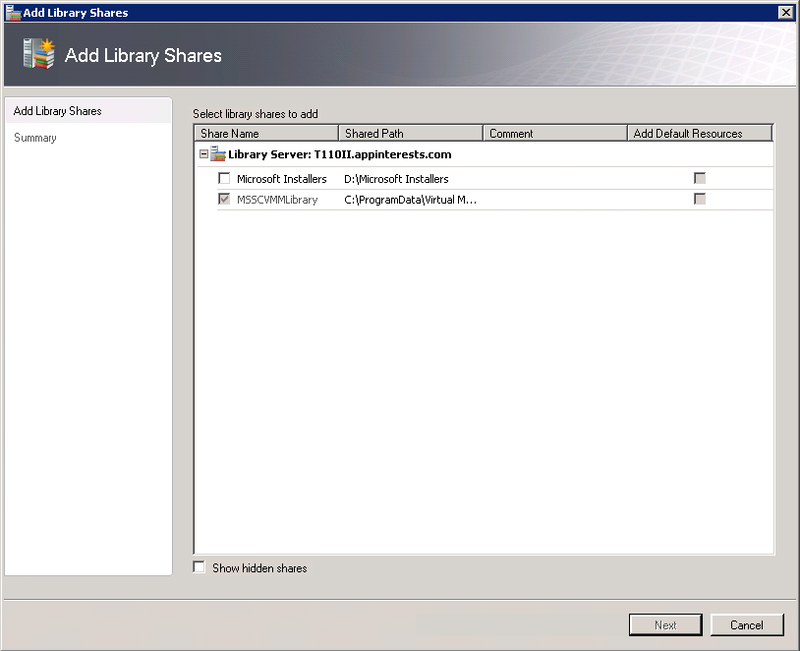 Once your confirm the settings are correct click the Add Library Shares button and it will create a set library server job. 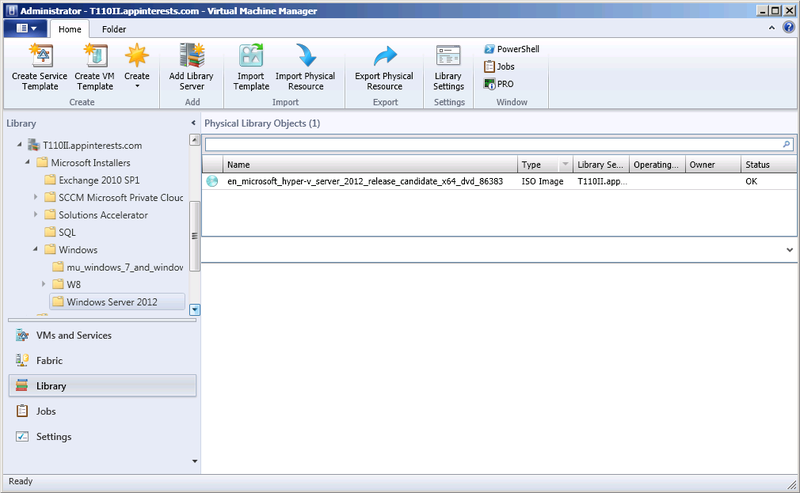 Once the job is done, you can now view the entire folder structure of your shared folder in SCVMM. 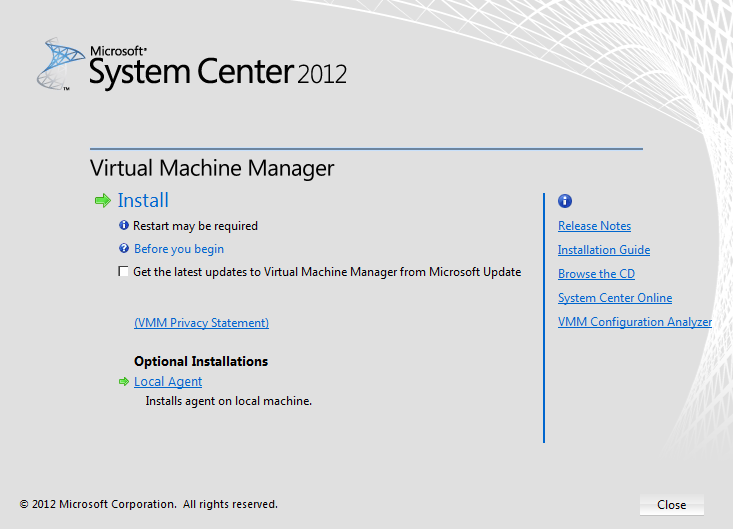 Since the Windows installers are now added you are now ready to create a new Virtual Machine. 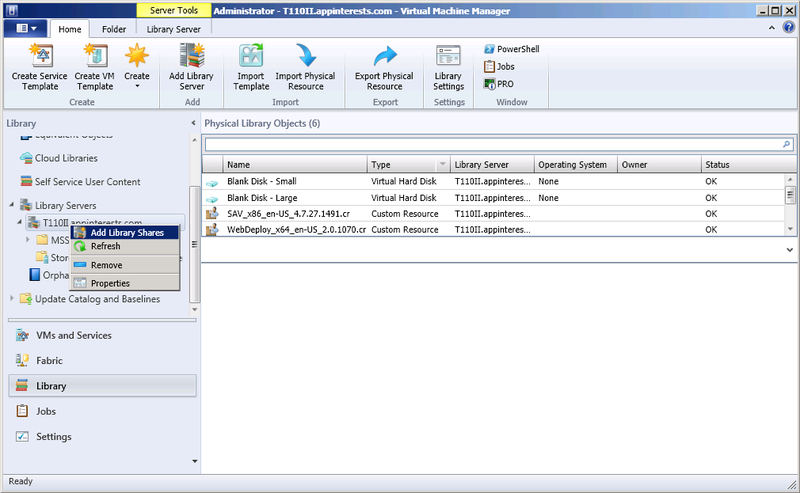 Are you using SQL Server 2008 R2 Express for a POC? 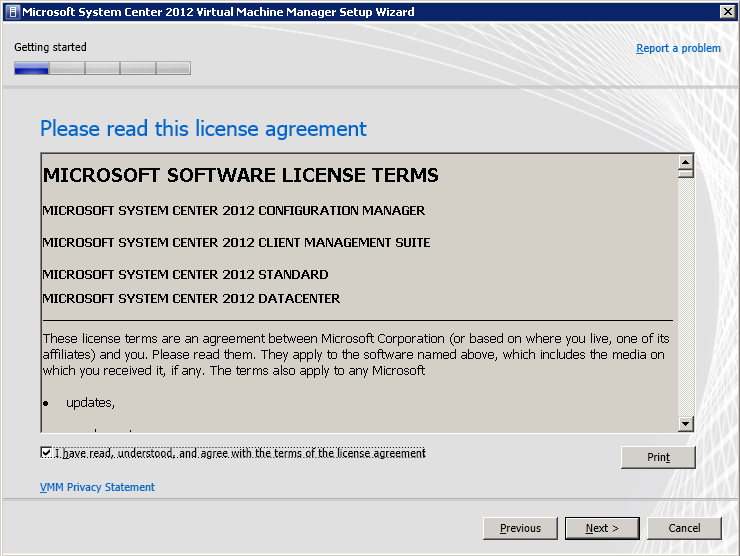 Microsoft system requirements for SCVMM 2012 state that it requires a full version. It was working for me last time. 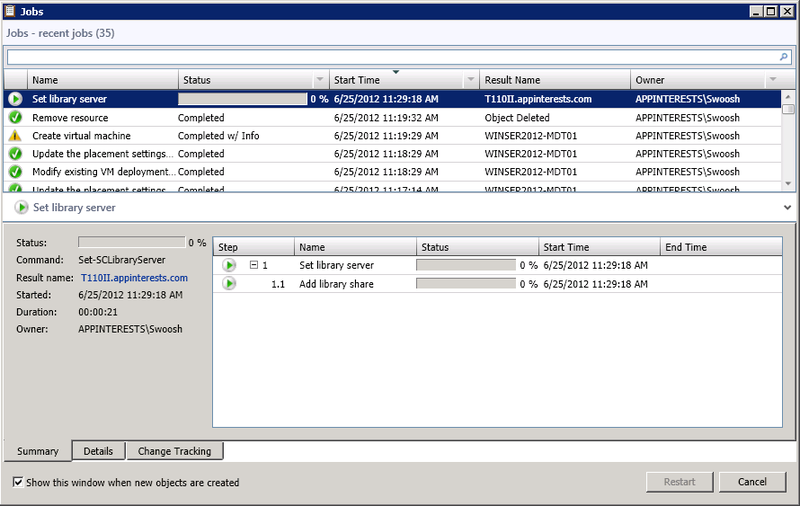 I am rebuilding my lab right now and will be using SQL Server 2012 Enterprise SP1 x64.